Introducing Private Label Rights to a Report Dealing With Family Drama. It doesn’t matter whether they’re rich or poor; conservative or liberal; spiritual or agnostic; family has the potential to drive us crazy! Most of the time, it’s not that you don’t care about the people that God gave to you—it’s that you just don’t understand how to love them. One of the most common reasons for family drama is differing opinions. 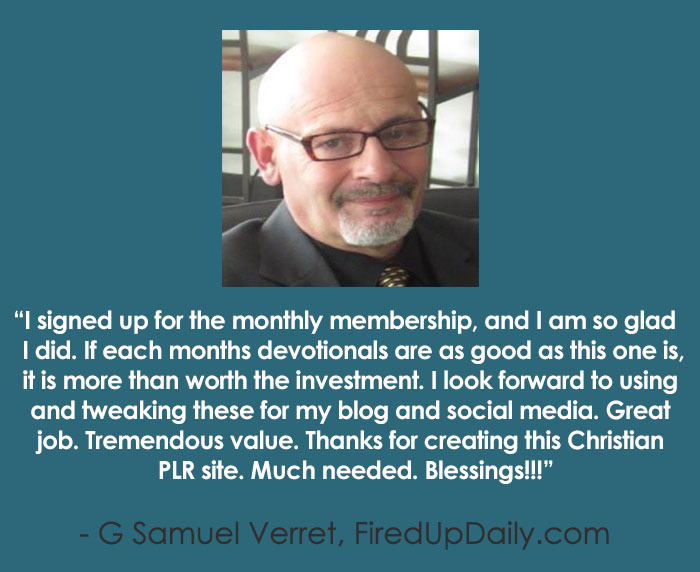 King Saul and Jonathon had radically different views of David. Saul was the current king of Israel but God had rejected him and chosen to anoint a new king, a young shepherd boy. David was that boy. While Saul plotted to kill the future king, Prince Jonathon became his friend, loving David as he loved his own soul (1 Samuel 18:1). This act symbolized Jonathon’s acceptance of God’s will in his life. He didn’t try to fight for his legacy. Instead, he trusted God even though the future wasn’t going to look like what he’d imagined as a boy. 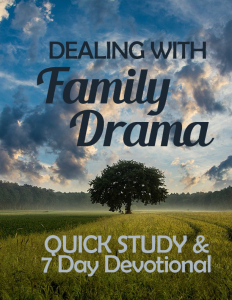 Jonathon’s story is an excellent example of family drama. Just like him, you’re not called to agree with your family on every issue. You can choose to quietly do the right thing and trust that God sees your heart. 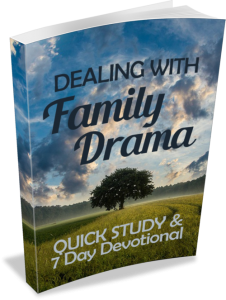 Another reason your family might be experiencing drama is a lack of grace toward one another.